Alternatively, you can hit Command+Option+, from within the app to bring up the view settings. TextWrangler is without a doubt the best free text editor for Mac OS X (if you don’t have it yet, you can get it free from BareBones), but why isn’t this enabled by default? This drove me absolutely nuts and I’m probably not the only one, thankfully it’s a simple switch once you find the setting. 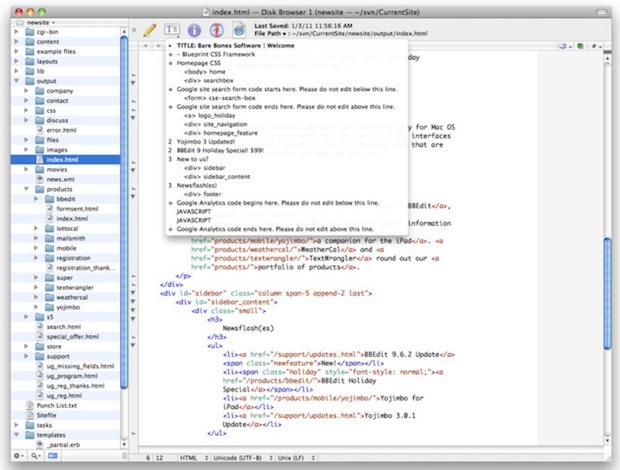 By the way, if you think TextWrangler is awesome, check out the bigger brother app called BBEdit, it’s amazing too. Update: Some users seem to be having an issue with getting line numbers to persist after quitting TextWrangler. I can’t reproduce that problem, but apparently another option is to go to Preferences > Text Status Display and check the “Show line numbers” check box there too. I also just discovered that we covered exactly that here before, so that could be a solution if they keep disappearing after relaunch. Also available in the Mac App Sore. It is a good idea to “trim trailing white-space character”. 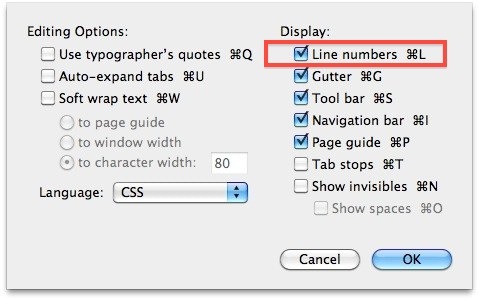 You can do this by setting “Preferences / Text Files / Strip trailing whitespace”. Is this really smart enough to only remove excess spaces? TextWrangler rocks, the only thing better than it is it’s big brother BBEdit but for the price of free, TW can’t be beat. It doesn’t have Vi/Vim key bindings so it’s just as useless as all of the other so-called Mac editors (e.g. SubEthaEdit, Coda, BBEdit, XCode). I use BBEdit at work and come home to TextWrangler, both are the best! “Preferences / Text Status Display / Show line numbers”. Note that I checked to have just one window open (just to make sure one didn’t overwrite other’s settings), but that didn’t do the trick. Is there any xml/plist file to edit? I use textwrangler for work everyday and it’s really annoying doing that manually each time for debugging.